The Bay Area Hero’s mission (About the Hero) is to spread joy and hope and to promote strength and recovery in children who are suffering from life threatening medical conditions. ​The Hero volunteers by visiting children at hospitals and attends other meritorious causes. 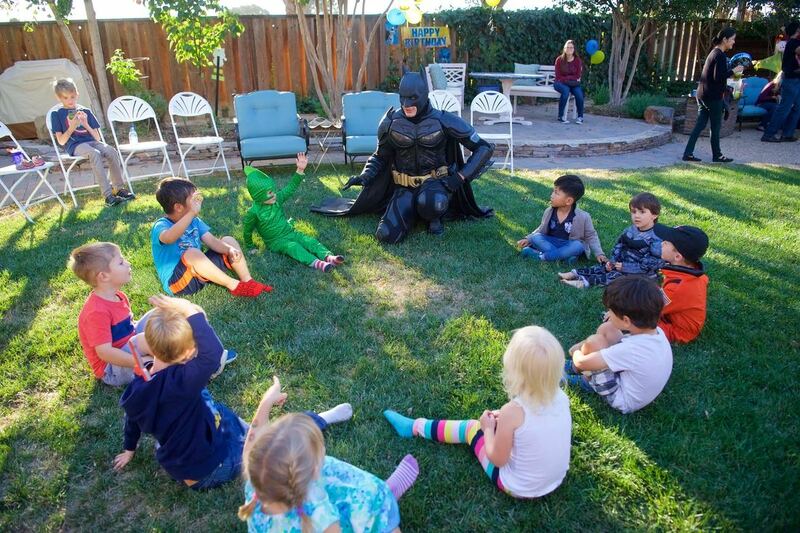 Please do not hesitate to ask the Hero visit children at a hospital or to attend your event! These visits are 100% FREE of charge! My intention is to volunteer primarily for children's events and visit local hospitals. Although I am open to volunteering at other events, I will only attend events were my appearance directly benefits the participants/attendees of the event. I will not volunteer for fundraisers, promotional events, or any other events were the goal is to simply raise money or awareness for some cause and my appearance serves only as a means to an end. I also reserve the right to refuse to attend any event for any reason. If you have any questions, would like the Hero to visit your event or child, or would like to support Bay Area Hero, please contact the Hero through the “Contact the Hero” page! ​Although I no longer attend private events, I would like to thank all of you who have supported my efforts throughout the years. Thank you for inviting me to your parties and events and sharing these very special moments with me. I am very grateful for the opportunities I had to meet so many wonderful people and delightful children. I cherish the memories I have and hope my visits were as special to you and your family and friends as they were to me. Wishing you all the best.